Suitable for matches up to 65 overs per side. Reverse has space for 7 bowlers per team and 12 overs per bowler. 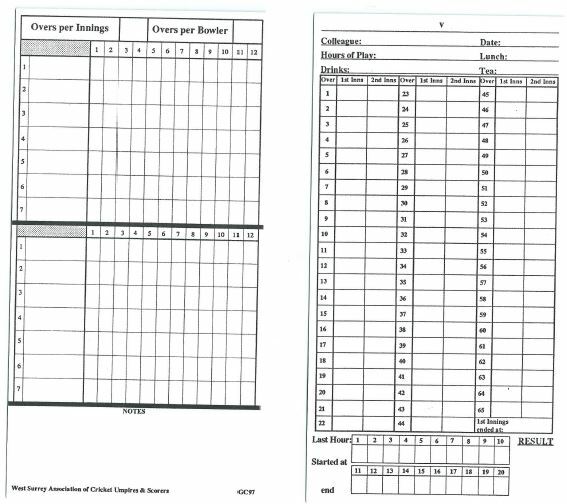 Unlaminated – 1 card used for both innings.